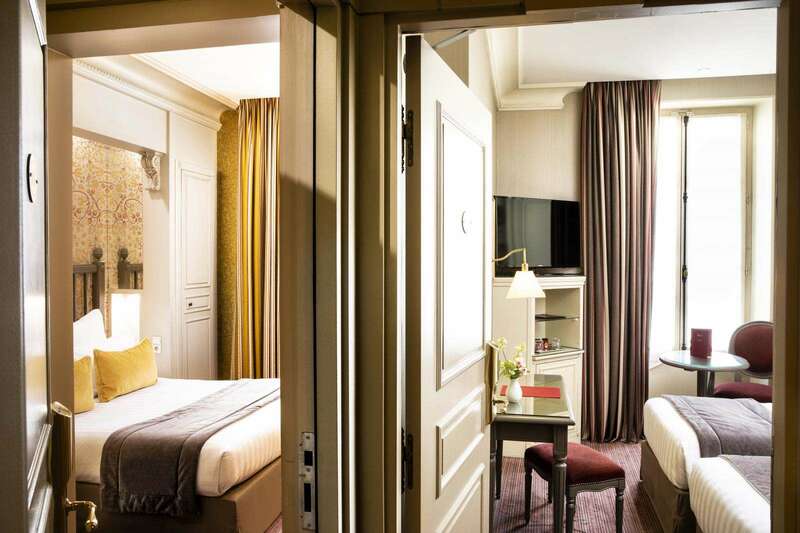 Experience the refined style of the Parisian mansions during your stay. Here, the sensuality and elegance of the Second Empire are enhanced by touches of the colonial era. Like intimate cocoons, the rooms envelop you with an authentic charm and a sense of wellbeing. 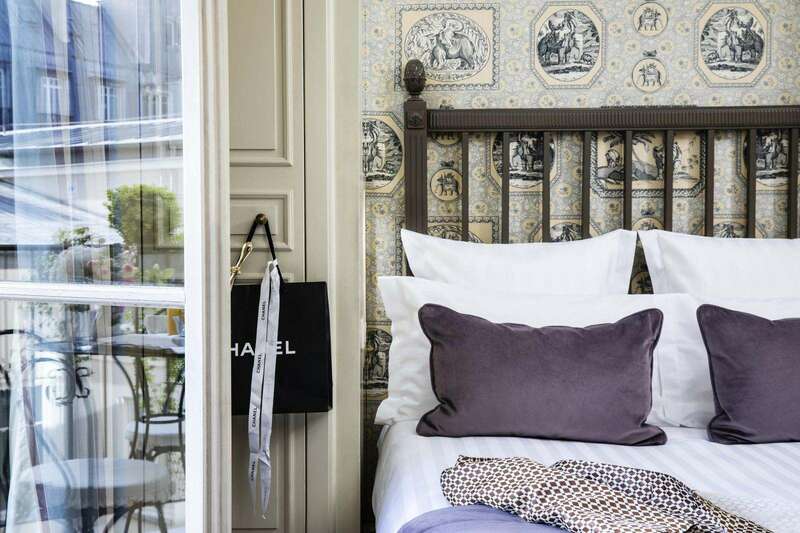 The charm of the mouldings, the beautiful details of a tap and the sumptuous tapestry headboards ... 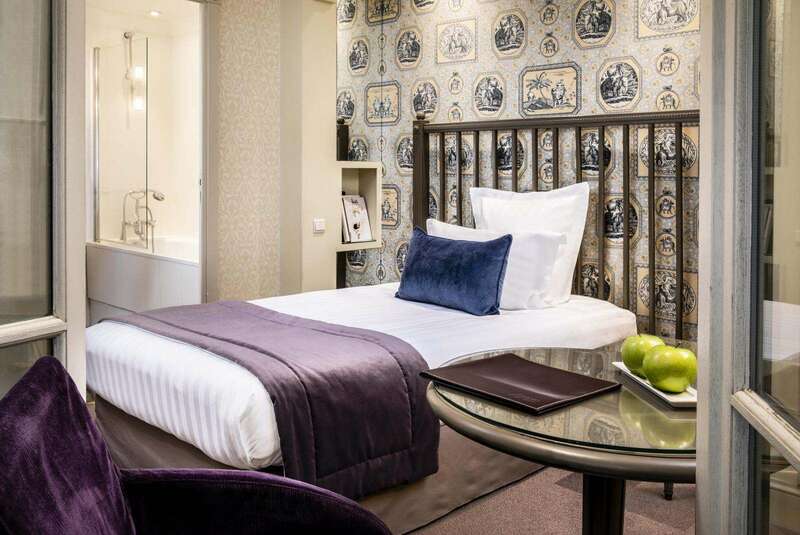 The classic rooms are an ode to French refinement and an invitation to be embraced in their soothing atmosphere. A double bed of 160 cm or 180 cm. 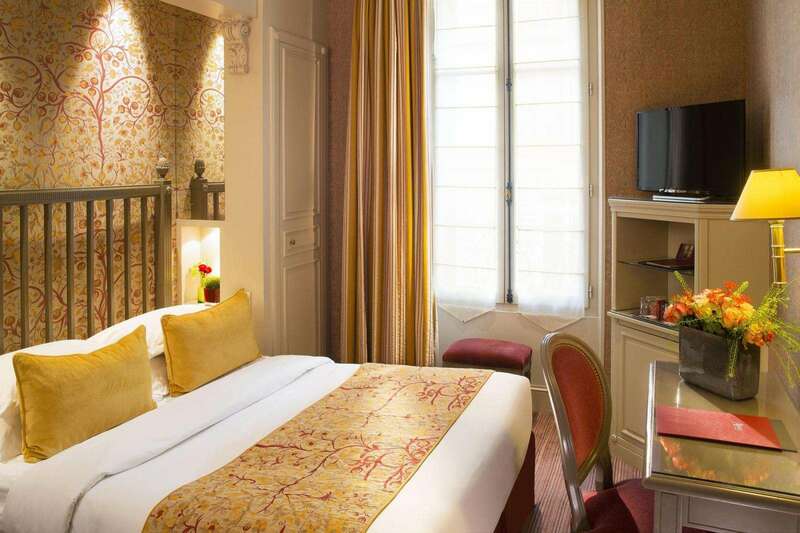 The elegant superior rooms will guard your secrets and enfold you in incomparable comfort. 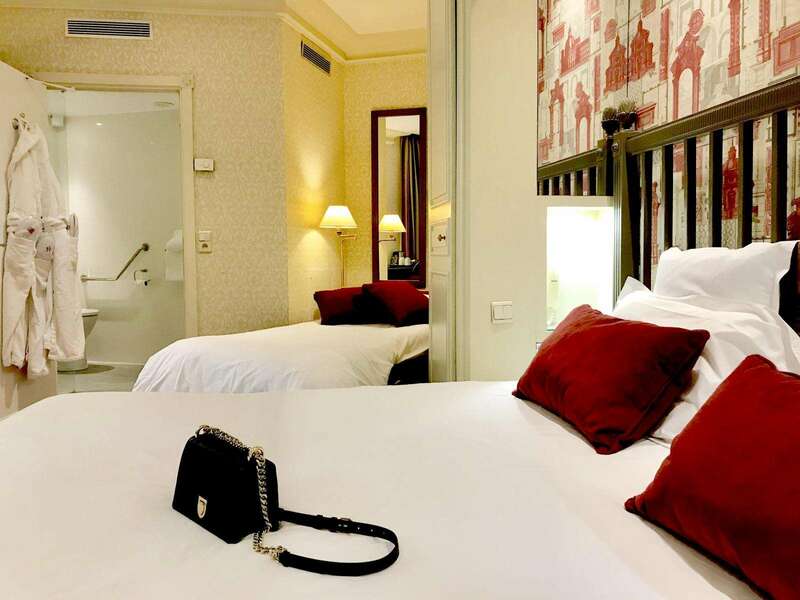 Make your family break a comfortable and convenient experience with our triple rooms. 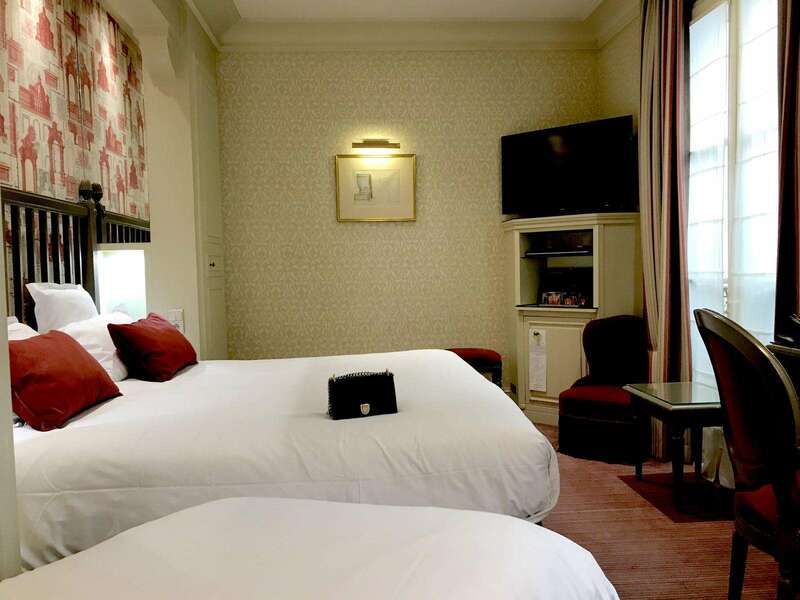 A large superior room with an extra bed. 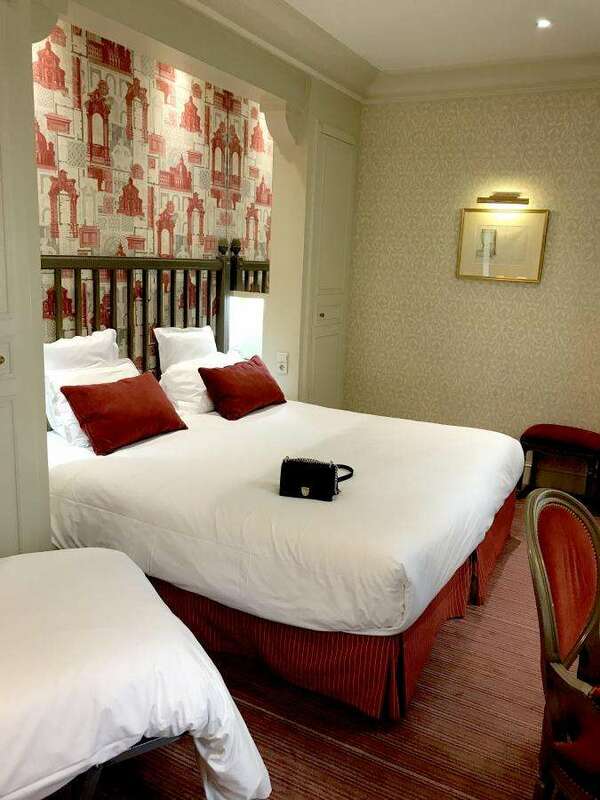 Treat yourself to comfort, independence and privacy with our quadruple rooms. 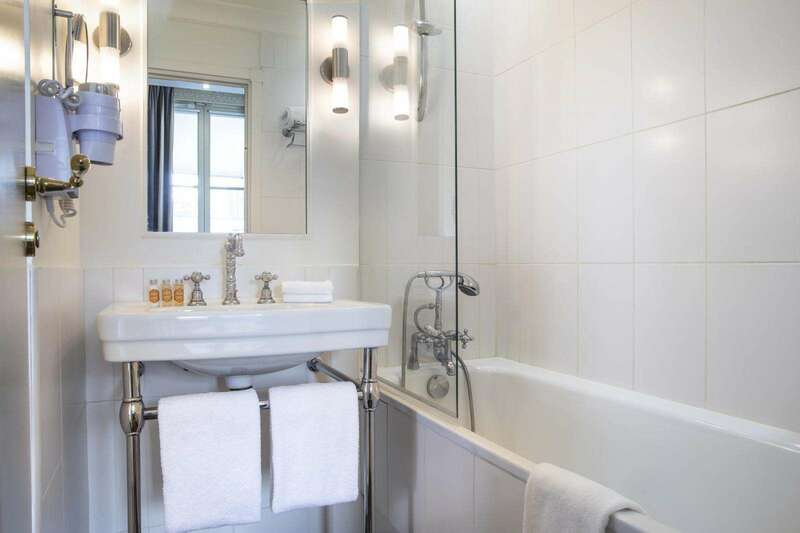 These comprise two interconnecting classic rooms, each with its own private bathroom. A front door and a hallway can be closed off at the entrance to both bedrooms. Option on request to transform one of the two bedrooms into a twin with two single beds.